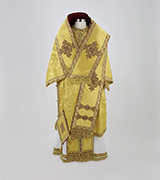 Gold brocade priest's vestment with burgundy-accented crosses. 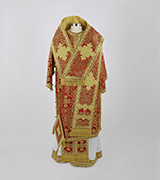 Crimson and gold brocade episcopal vestment with jeweled crosses. 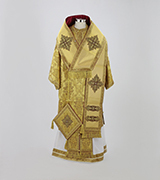 Gold and burgundy brocade priest's vestment with burgundy-accented crosses.